You will love this easy and frugal Beef stroganaff recipe. I’m sure whole wheat of no yolk noodles would be a great pair for this recipe. It was too much of a carb overload for me. I did make fresh corn on the cob and field peas as sides. They went very well with this dish. You can use hamburger steaks (whole) or strips of beef. I use a huge electric skillet for this and it works out so great. It was a thrift store find for only 2.00! First, cook your mushrooms and place to side. Next cook your hamburger steaks and set those to the side. I then melt the butter, place the flour in the butter, and use the broth or water to make the sauce to our desired thickness. 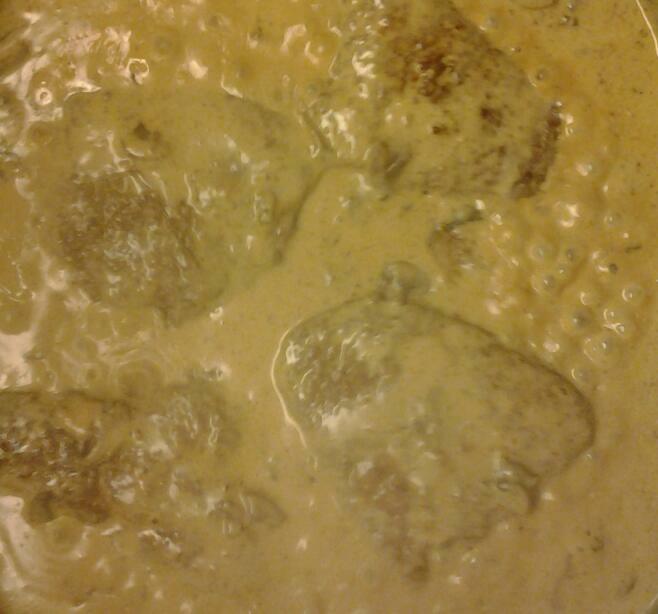 After that add the mustard and sour cream…let simmer for a few minutes and then add mushrooms/steak back to skillet. Edited to add...I now incorporate a small amount of whole wheat noodles with this. It turned out wonderfully!